Intestinal tumors (cancer) in cats and dogs. tumors, including lymphoma, adenocarcinoma, mast cell tumor, and leiomyosarcoma. 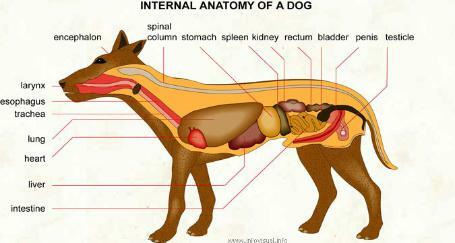 How common are intestine tumors in cats and dogs? What are the symptoms of intestine tumors in cats and dogs? with lesions in the small intestine. samples can be taken but the disadvantages include the risks associated with any surgical procedure. What are the treatment options for intestine tumors in cats and dogs? possible damage to surrounding normal tissues in the abdominal cavity. What are the surgery-associated risks for intestine tumors in cats and dogs? body inflammatory state caused by infection) and peritonitis (inflammation of the abdominal lining). Are there any clinical trials investigating new treatments for intestinal cancer in cats or dogs? Clinical Trials (any tumor type) section. What is the prognosis for intestinal tumors in cats and dogs? months for mast cell tumor.